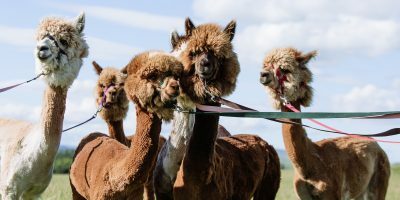 Alpaca trekking is great fun for all ages and all levels of fitness, treks can be tailored to meet your needs for a marvellous trip out! 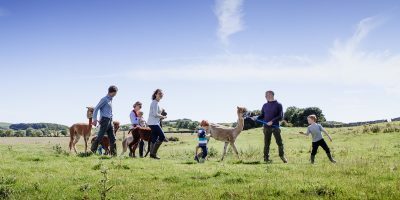 Put a name to our herd of friendly, furry faces before you come and meet them in person. 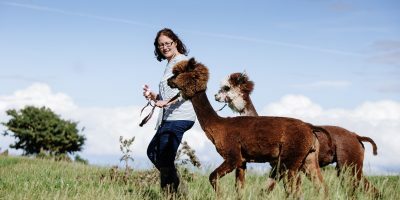 You’ll find Senwick Alpacas near Borgue, situated 6 miles out of the pretty harbour town of Kirkcudbright nestled on the Solway Coast in the hidden gem that is Dumfries and Galloway.